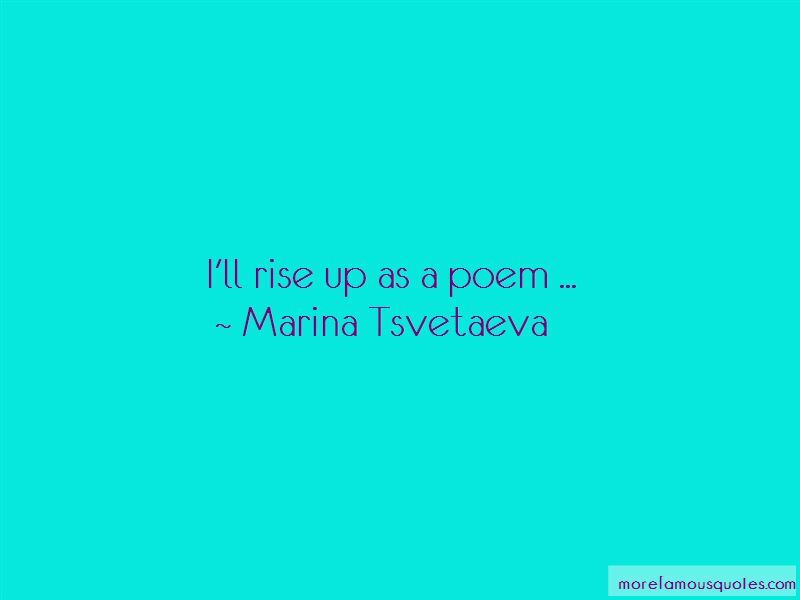 Enjoy the top 43 famous quotes, sayings and quotations by Marina Tsvetaeva. And soon all of us will sleep under the earth, we who never let each other sleep above it. However much you feed a wolf, it always looks to the forest. We are all wolves of the dense forest of Eternity. readiness to rush off when we've just met? One should write only those books from whose absence one suffers. In short: the ones you want on your own desk. and inspiration is kept in a thermos? It becomes dear and not yours - and nobody's. And arrows moan in the slow arteries. And deeply equal to you are the friend and foe. Sudden sound is the whole rainbow. Only just one thing - the eyes - are growing dark. My rivers tilt towards you. a homeless and sleepless nun! and lack of sleep guides me on my path. You are so lovely, my dusky Kremlin! of the whole round and warring earth. the stifling winds blow straight into my soul. 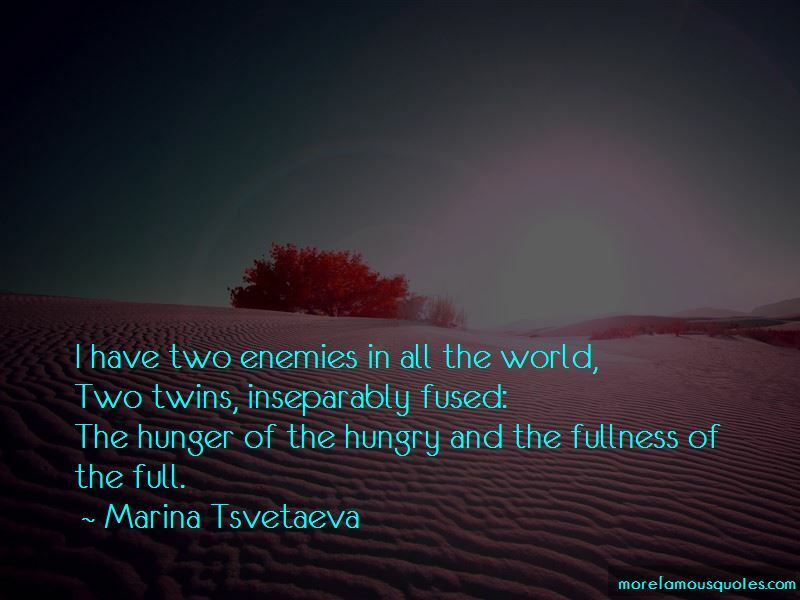 The hunger of the hungry and the fullness of the full. How quiet the writing, how noisy the printing. In you, I see the heroines of Shakespeare's tragedies. For the way of the comets is the poet's way. in those fingers lies the bridle of the four winds. only a shell where the ocean is still sounding. But I have looked too long into human eyes. Night, like a black sun. “I kissed you! I witched you! Women talk about love and silent about lovers, men - on the contrary: Speaking of mistresses, but are silent about love. Don't you know no one can escape the power of creatures reaching out with breath alone? In this most Christian of worlds all poets are Jews. My verses are my diary. My poetry is a poetry of proper names. 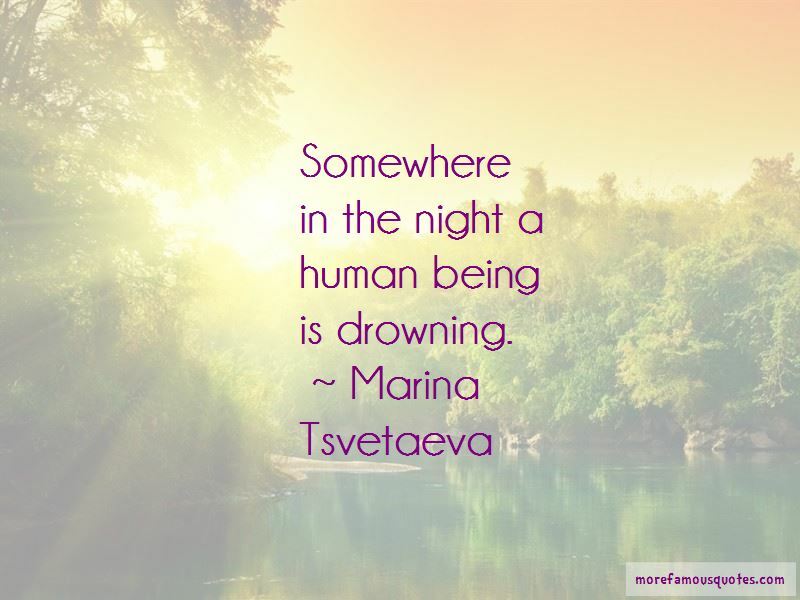 Want to see more pictures of Marina Tsvetaeva quotes? 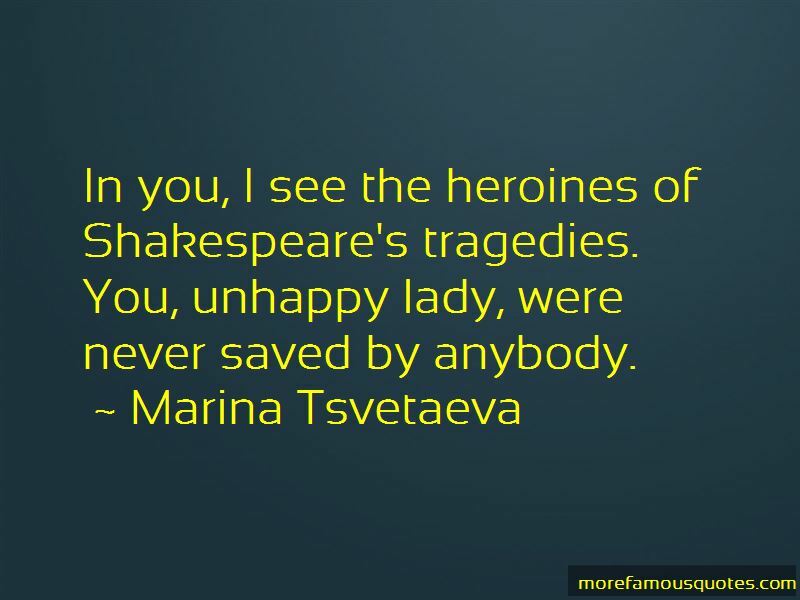 Click on image of Marina Tsvetaeva quotes to view full size.